Mold Removal New Jersey 24/7 Specialists! New Jersey » Blog » Mold Inspection » Mold Removal New Jersey: Is there a Monster under Your Bed or in Your Closet? Mold Removal New Jersey: Is there a Monster under Your Bed or in Your Closet? The top mold removal New Jersey techs remember being kids and fearing things that go bump in the night! When you were a child you may easily recall the memory of having a parent check for Freddy Krueger under your bed or check your closet for that werewolf that was determined to spring out into your room at midnight and eat your feet. Now that you are grown and likely have kids of your own you know that monsters stay confined to the Hollywood screen…or do they? 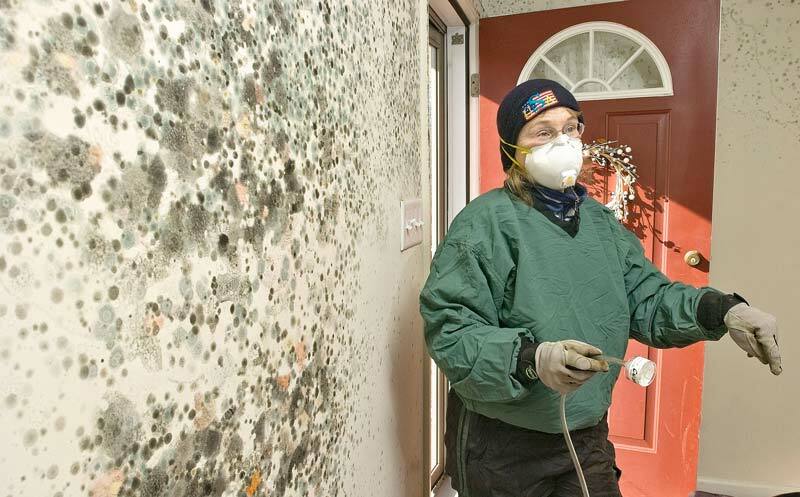 Continue reading and learn what the best mold removal New Jersey company has to say about the horrors of mold! In 2009 ‘Clueless’ actress Britany Murphy died from complications that were later linked to a black mold problem festering on the wall behind and under her bed. Months later her husband died from the same culprit. It is easy enough to say that a mold inspection could have saved their lives, but since the mold visible to the naked eye was located in an area that would have required moving furniture around just to discover the black spots, the question at hand isn’t so black and white. But there is a lesson to learn here: household mold can be hiding in your home, and it kills. In fact, a news feature out of Edmonton reported that a dangerous black mold problem lead to hundreds of school children being relocated to other nearby schools due to black mold found growing on walls—an inspection later revealed that the inside of the walls were festering with the stuff like an alien invasion on Independence Day. How can I tell if I have a Mold Problem? If you experienced a pipe burst, roof leak, or ruptures hoses and water extractions were not properly initiated by a licensed water damage restoration company, the moisture left behind could very well start a spawning bed for a major mold problem. How can I Prevent the Mold Monsters from Hiding in my Closet? Just whereas silver bullets fend off werewolves, a stake to the heart will repel vampires and some energy drinks will keep Freddy Kruger from stepping into your reality through the egress of dreamland, there are implements of water damage warfare you can use to keep the mold demons at bay. For starters, if you detect dampness in your home or any other signs of a potential mold problem have surfaced, call a company that offers free mold inspections to concerned homeowners. You should also make sure your plumbing is in good working order with no pipe leaks, bulging or ill-fitted parts. Also inspect around your windows and doors for gaps that may trap moisture, and have your roof inspected for weaknesses that may result in a leak during the next hard rain. Your best weapon against mold comes down to good old fashion cautionary measures. Do your part in ensuring your home’s safety from excessive moisture, and those mold monsters will move on to your neighbor’s house instead.